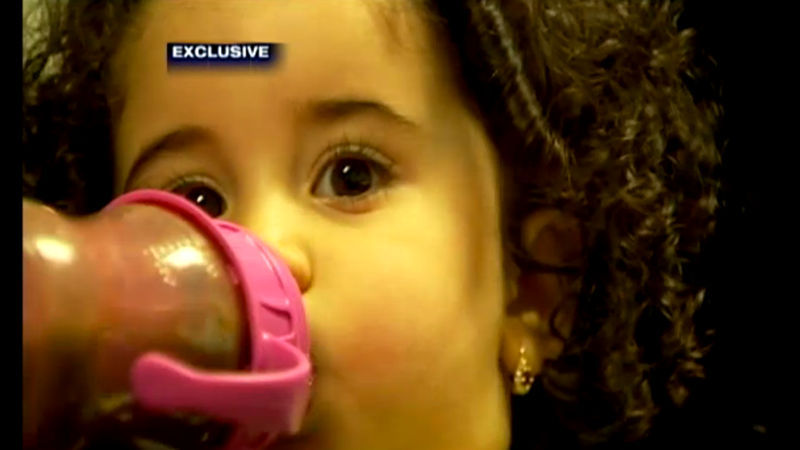 How Did an 18-Month-Old Girl End Up On the No-Fly List? A Toddler might drop a bomb in her diaper, but not the kind that would blow a plane out of the sky. So why was an 18-month-old girl named Riyanna booted from Jet Blue flight 510 in Ft. Lauderdale on Tuesday? Shortly after Riyanna and her parents had boarded the plane, an airline employee told them that they would need to exit because TSA agents would like to speak with them. Puzzled, they asked why. Then came the kicker: little Riyanna had been flagged as no-fly. The baffled family disembarked and met TSA agents in the terminal. After about a half hour of embarrassing, invasive questioning, right out in the open, they were told they could re-board, without apology. But they were utterly humiliated, so they left the airport. Now, rightly, they want to know why this fiasco happened. The parents, who have asked not to be identified for fear of backlash, believe they were targeted because of their Middle Eastern origins, and because Riyanna's mother wears a hijab. All three of them were born in the U.S. and grew up in New Jersey. Also strange: if you're on the No Fly list, you don't get a boarding pass and wouldn't be able to get on the plane in the first place. TSA spokesperson Sterling Payne told us Riyanna was not, in fact, on the government watch list. He said the TSA was only called in after the family was yanked from the flight, and after speaking with the parents, they confirmed that the girl was mistakenly identified as No Fly. Way to go, Jet Blue! The airline says it was just following protocol. "There are layers of security checkpoints in place—from booking a flight to checking-in, clearing security and boarding an aircraft—that are enforced by the airline in collaboration with airport authorities and the Transportation Security Administration to ensure all customers enjoy a safe and secure travel experience. We take all security concerns very seriously. If a customer is flagged by our system at any point during this process, we work in close collaboration with the TSA to confirm if customers can subsequently be cleared to fly. Our crewmembers are trained to address each situation discreetly, treating every customer with dignity and respect." However, Riyanna's father said they were "put on display like a circus act" because his wife wears a head scarf. Less than dignified, by most standards. Croyle said Jet Blue and the TSA are investigating.